NextFoo Fighters – ‘Concrete and Gold’ album review. What’s new, right now: Watergod and their otherworldly vision. Musically speaking, Austin, Texas, has thrived on a robust live music, centred around country, blues and rock, for much of its history. 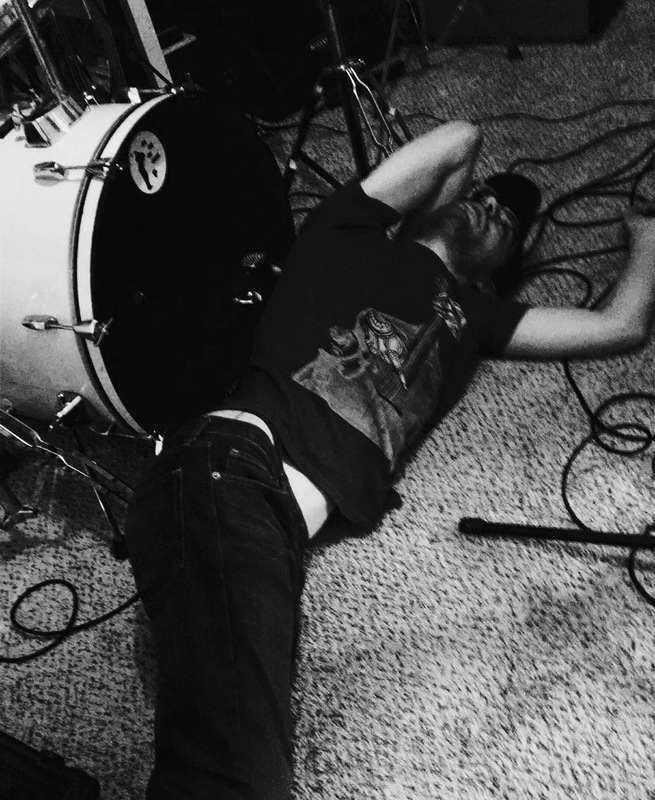 It has been fertile ground for touring bands and local acts to test and create their own unique sounds. Enter newly formed Austin band Watergod, who inspired by generations of underground acts, have come to the fore in Austin’s burgeoning Indie music scene. Guitarist Ethan Schrupp, bassist Justin Wilson and drummer Nicholas Key, formerly of the psychedelic space rock outfit Psychonaut, have gone through a rebirth of sorts musically, to create with the abundance of raw energy, emotion and musically eccentricity their debut self-titled album Watergod. A few days ago, Frontman Ethan Schrupp and colleagues Justin Wilson and Nicholas, all found time to speak to me, in the middle of preparing for their Sidewinder show in Austin’s Red River Street district. Here’s some of what we talked about. Ethan: As a child I was inspired by my mom; she played for our church and a local theater group, so I would hear her practicing a lot at home. At some point I expressed an interest in learning the piano, so she taught me a little bit before finding me a proper teacher. Justin: Being born with glaucoma, I was unable to play sports in school. Even though I wanted to so badly. So my mom bought me my first fender when I was 13, and I never put it down. Not only did it help me fight depression, it help me fit in. Nick: I grew up with music. Having a guitar player father, I was surrounded by it. I started playing on my buddy’s kit and I got better at it every time I went over to his place, and I kept getting better, so eventually I got my own kit. Is Austin, Texas your home? Are you guys all originally from Austin? Ethan: It’s been our home for six years, but we’re all transplants; Justin and Nick are both from the Dallas-Fort Worth metroplex, and I’m from a southeast Montana. What is Austin’s alternative or underground music scene like today? Ethan: Its hard to pin down; Austin has a lot of scenes and sub-scenes, and trends come and go. Lately I’ve been seeing a lot more psychedelic rock bands. Which music festivals have you played at? Ethan: None as Watergod; we just started again playing live a month ago. But one of our previous incarnations, Psychonaut, played MR Fest in San Marcos. Ethan: Depends on how busy we are, but its usually once a week for the whole day, or twice a week for a few hours at a time. Can you tell us something surprising about yourself and your bandmates? Ethan: We’re lizards in disguise! Yes, I’ve read that Texas is littered with an abundance of lizard species. Most of them resilient and very adaptive to their environment. Is that a reference to how you guys see yourself? Ethan: Being from such a small town, I rarely got to see live music growing up. Sometimes a big band like Van Halen or Rob Zombie would come to a bigger city on a weekend and we’d get a group together to go see them, but they never really inspired me musically. It wasn’t until I was living in Phoenix that I got to see bands that actually inspired me. My favorite band at the time, Islands, was playing the night I moved there, so I went to go see them. They were awesome, and I got to meet Nick Diamonds! That was pretty inspiring. It was the first time I had seen an indie/underground band, and since all my prior concerts were stadium experiences, it was the first time I had an idea of what a career doing this kind of stuff would be like. I also got to see Atlas Sound, the Dirty Projectors, Be Your Own Pet and St. Vincent, among others, but I can’t remember them all. Justin: Some of the earliest band I can remember seeing are Blink-182 with my cousin Daniel and KISS with my mom. We were poor, so seeing bands was a real privilege and rarely happened. But I watched tons of concerts on VH1 Classics. Nick: Bowie when I was five years old. INXS, U2, and the Stones a little later. Justin: A guitar that my mom bought me at 13. Nick: Piano was my first instrument, but drums were the first instrument I was good at. Ethan you have a unique voice. Has anyone ever compared you to sounding like Chris Martin from Coldplay (apart from me)? Ethan: Thank you, and no! I usually get compared to singers from the 90s. Ethan: Too many to name since I’m always adding to my favorites, but two constants have been Miles Davis and Swans They taught me how to open songs up and allow them to breath. Its not very much fun to play a song the same way every time, and a lot of bands are afraid to try it. But when you see a song as nebulous instead of static, it opens up a world of possibilities. Justin: Jimi Hendrix will always be my number one. Growing up I learned most of his songs on guitar, and almost every Led Zeppelin song. Even though my ear for music has changed since then, Hendrix and Zeppelin will forever be the roots of my musical journey. Nick: Donald Fagen, John Frusciante, Robin Ford, Larry Carlton, David Bowie, Genesis. Tell us briefly something about your band name? Does it have any significance in meaning to you? Ethan: To me it represents renewal and rebirth; we had taken some time off after our last band dissolved, so when we came back together we wanted a fresh start. Can you briefly tell me the inspiration behind the album Watergod? Ethan: Aside from our reformation, the inspiration was what was going on in my life at the time. Amygdala is about a breakup, Whaler and Causality were about a girl I was hooking up with after that, Helios is about being burned by someone you’re trying to help, Motion is about being ostracized for being yourself, Vectors is about succumbing to temptation and Spirals is about dealing with anger. Can you briefly talk through the process of recording the album? Ethan: We spent a year writing and working on the songs before recording them. We had previously tried to record them ourselves, but I am a neurotic perfectionist when it comes to recording, so after getting the drums and bass down, I just kept doing guitar and vocals over and over again with nothing getting done. Because of this, we decided to get our friend Sean Lochridge to record us. Sean plays drums for a lot of different bands, but also has a home studio that he uses to record himself and other groups, so we decided to enlist him because he’s good at what he does, and he knows when to say when. The album took about a month to get done. Since Sean was busy with getting ready for a tour, he could only devote a day or two a week to recording us, so we had to be on point. We spent the first week getting drums and bass; interplay between Justin and Nick is very important to our sound, so we recorded them together live. I also recorded scratch guitar and vocals as a guide for them and myself, but since Sean didn’t want any sound bleeding through, I was in a another room, singing and playing as quietly as I could. The second week I did my guitar parts; I wanted the album to sound like just the three of us playing with as few overdubs as possible, but you can hear some layered parts in Amygdala and Spirals. The third week I did my vocals. I’m always self-conscious about the sound of my own voice; I think all singers are. I did 3 takes for each song, with Sean piecing together the best from each take. The fourth week we corrected any mistakes or hiccups in the songs and mixed the album! Ethan: Interplay is very important to me as a songwriting tool; sometimes I leave the songs unfinished before presenting them to Nick or Justin, because the more of me I put into them, the less of Nick and Justin you’ll hear. They add new dimensions of character to a song that I would not have otherwise thought of, and this leads to a more organic, nuanced sound than if I had done it myself. Even if I write the whole song by myself, when I present it to Nick and Justin, our chemistry takes over and it sounds completely different from what I originally had in mind. Which songs do you most love to play live? And why? Ethan: Helios and Vectors; they’re dynamic songs with winding sections, so it allows us to open them up and explore some of their passages without the music becoming redundant. Justin: Vectors, because it leaves us open to jam for a bit. We all go different ways then come together in the end, creating something the audience has never heard before and we as a band have never played before. Nick: Vectors, because I like the beat. Checkout the latest news on Watergod via their Facebook page. Photo credits: All images used are courtesy of Watergod. They cannot be used without their expressed permission. 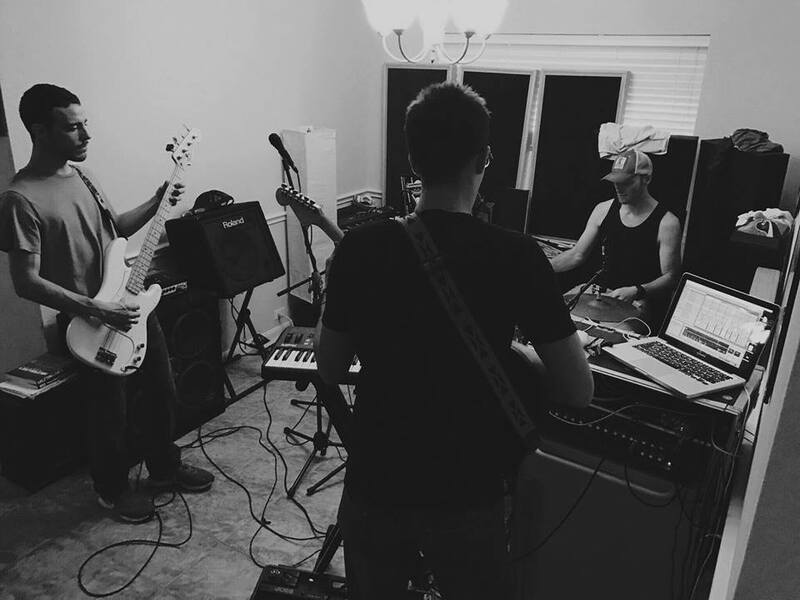 I’m sharing this great interview with Austin, Texas band Watergod by Robert Horvat, who has a terrific blog Rearview Mirror. Foo Fighters – ‘Concrete and Gold’ album review. Review: Pearl Jam’s ‘Let’s Play Two’.